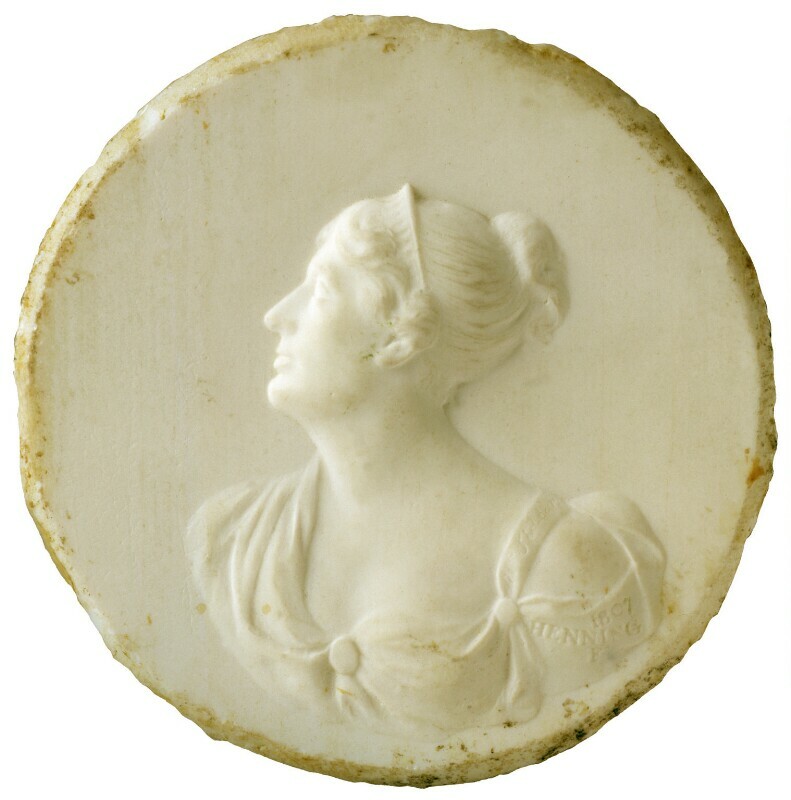 Henning exhibited a medallion of Mrs Siddons at the Association of Scottish Artists, Edinburgh, in 1808. A copper mould and a plaster cast are in the Paisley Art Gallery and another cast is in the Scottish National Portrait Gallery (PG 537). A related drawing by him was sold Sotheby’s, 15 March 1984, lot 25. In 1810 Henning exhibited a bust of Mrs Siddons in Edinburgh. These were apparently the items he again exhibited at the Royal Society of British Artists in 1824: no.343 a 'Bust of Mrs Siddons' and no.515 a Portrait of Mrs Siddons fifteen Years ago; A Study for a Medallion (drawing). 1) Illus. J. Malden, John Henning, exhibition catalogue, Paisley, 1977, n.p..
2) Henning to William Mure, 9 January 1844; quoted in J. Malden, John Henning, exhibition catalogue, Paisley, 1977, n.p..
Sculpture and Works of Art, Agnew, 1981 (10).